Toys R Us is expanding its used game trade-in program nationwide and they're not messing around: They're taking everything from the latest hits to dust-clogged oldies for the Intellivision. That's right, I said the Intellivision. Toys R Us is apparently looking to make a big splash and after launching a used game test program in February, the company is now ready to take just about any game from just about anybody, right across the country. Gamers simply need to take their "used videogames in their original cases, with the original case artwork" to a nearby Toys R Us, where they can be exchanged for a gift card that can be used on any product in the store. And unlike every other retailer I've ever heard of, Toys R Us isn't focusing exclusively on the latest and greatest; the company is also accepting used games for systems including the Atari 2600, the original PlayStation, the Nintendo NES and Nintendo 64, Sega Genesis and yes, the Intellivision. "This program is designed to make the exchange process completely hassle-free for customers by accepting games from even the oldest systems, including the original Atari 2600 and 32-bit Sega Genesis," said Toys R Us Vice President Bill Lee. 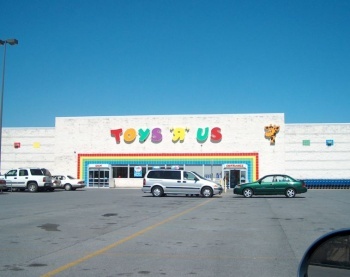 The company won't be selling used games, however; a Toys R Us rep told Joystiq that games accepted for trade-in will be "taken by a third party company that refurbishes them for resale," although we don't yet know who that third party is or who will ultimately be reselling these games. We also don't know how it's possible to assign any kind of real-world value to games for systems that debuted three decades ago. Unfortunately, as a citizen of the ice-encrusted dominion of the north I'm not eligible for this program just yet, so I need a volunteer to wheel some old crap into a local TRU and see what happens. Anyone up for the job?